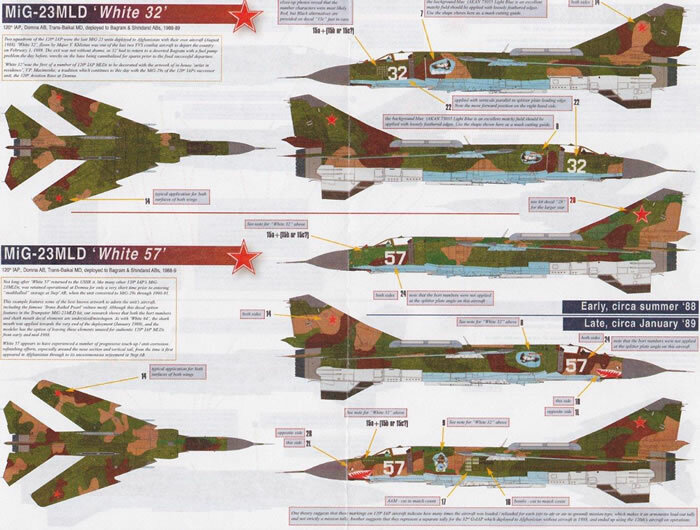 Fixes error in the Trumpeter supplied decals, and provides a wide choice of combat veteran schemes. 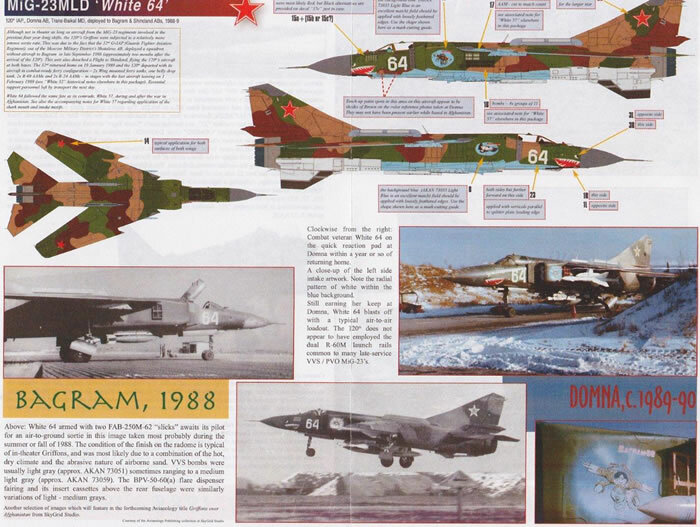 The Soviet war in Afghanistan lasted from December 1979 to February 1989. 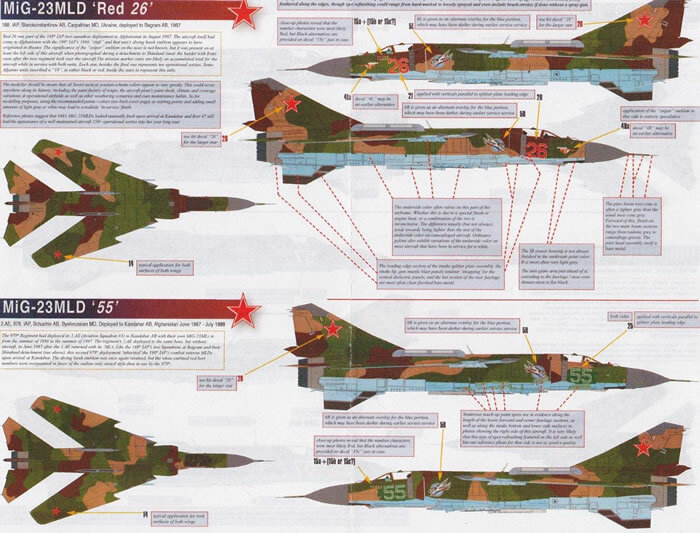 Fought between Soviet-led Afghan forces against multi-national insurgent groups called the mujahideen, the Soviet MiG-23 operated for a majority of the campaign, with MiG-23MLDs deploying in the later years. 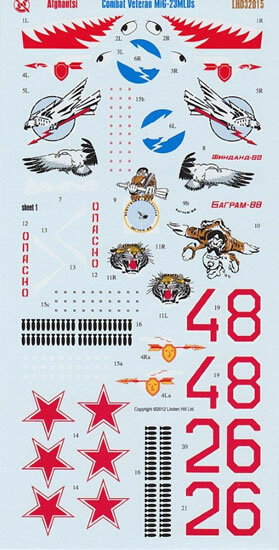 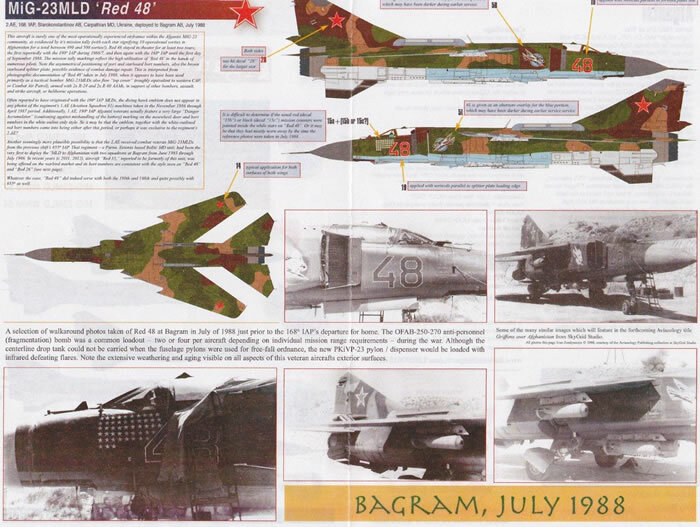 This decal sheet covers the period 1987-1989 and is designed for the Trumpeter MiG-23 MLD Flogger K kit. 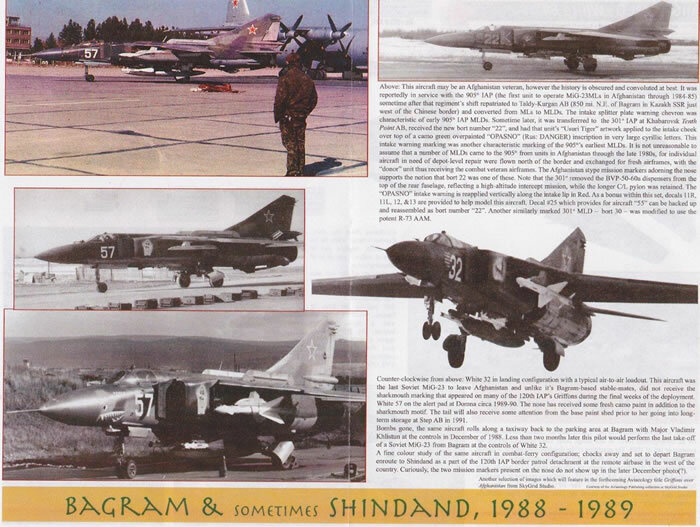 As always Linden Hill Decals provides a great wealth of information on individual aircraft history, backed up by photos, plus there is a great discussion about weapon loadouts, with what and why discussions on different configurations that were used. 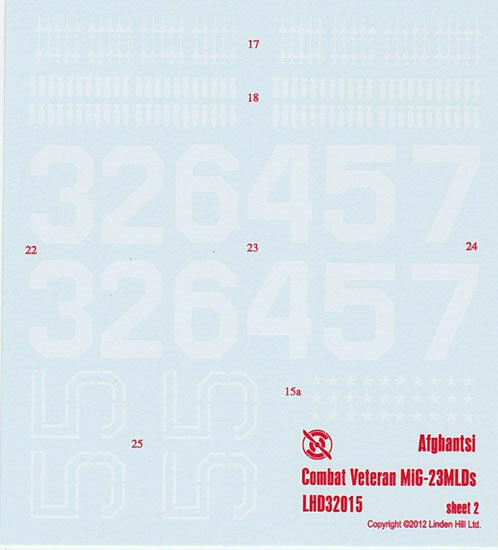 An extra nice detail is a verbal description for some decals as to their alignment with relation to certain panels etc. 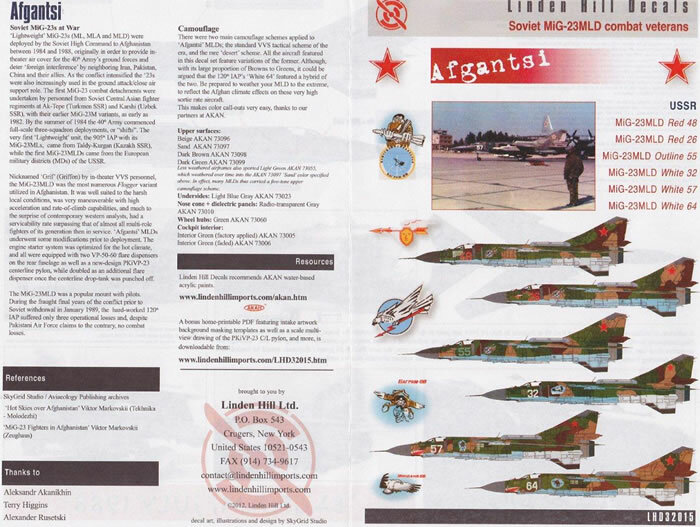 As a bonus with this set you are provided extra intake art and with cutting up Bort 55 decals you can also build Bort 22.